Unless your child was dancing "Swan Lake" at age 7 and doing summer camp at ABT as a tween, you might think that a dance major is a direct path to unemployment. 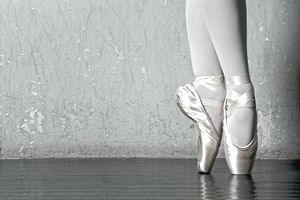 Contrary to those arts major misconceptions, many career paths and jobs are open to dance majors, whether they're into ballet, hip-hop, or Tommy Tune. Dance majors bring a wealth of workplace skills besides pointe work and jazz hands. The very nature of their training translates to strong communication and non-verbal skills, problem-solving skills, and teamwork. They're organized, detail oriented, and highly disciplined, and they know the art of dance extensively. Performance is an obvious career path for dance majors, and the list of arts organizations that hire dancers goes far beyond New York's Lincoln Center or the Bellagio in Vegas. Every arena of the entertainment world, from MTV music videos to cruise lines and theme parks, employs dancers. A quarter of the dance-related jobs are in choreography—an area that the U.S. Bureau of Labor Statistics expects to see grow by 3 percent from 2016 to 2026—which is fueled by pop culture interest in music and dance. Some dancers go into a specialized field of choreography to become dance notators, recording and preserving choreography and repertoire for the future using Benesh or Laban notation methods, which take special training. Some dance majors leverage their knowledge of the art world to work in arts management or arts administration, running operations, finance, or the marketing arms of existing arts organizations. They may manage other dancers or performers, handle the press, or build and run websites for dance or arts organizations. Arts administration jobs typically require bachelor's degrees, whereas performance jobs value experience and training over diplomas; however, getting an internship or degree in fine arts (e.g., bachelor's or master's of fine arts degree) from a respected performing arts school not only increases a dancer's skills and experience but is also invaluable in networking. Dance is not a field that commands large salaries. Arts organizations are typically nonprofits, and wages reflect that. For performing arts company dancers, the U.S. Bureau of Labor Statistics put the median salary at $16.96 per hour in 2017 and noted that dancers had a high on-the-job injury rate and a brief performing career. Professional dance companies offer slightly better wages. Choreographers earn an average hourly wage of $23.28.